(i.e., reminding herself in her dream that the people were a product of her imagination) ...trying to get back to life, but I just couldn't. Dreaming and dreams seem to follow no prescribed delineation of time, place, or narrative. The apparent passage of time in dreams suggests structures inherent to film and video. In Dreamtime the video becomes the intermediary between the spiritual and material worlds, as the lively narrative of the dreams as described by Alaine contrasts with quiet images of her sleeping, and suggests these dualities of consciousness and sleep. Recreating the images from Alaine's dreams is left to the imagination of the viewer and becomes ​an internalized, unique experience for the viewer, as dreaming is an internalized reality that can only be experienced by the dreamer. "A beautiful and moving video, Dreamtime dispenses with the pretenses which drive commercial television. It succeeds as art because it is sensitive to the act it is portraying." 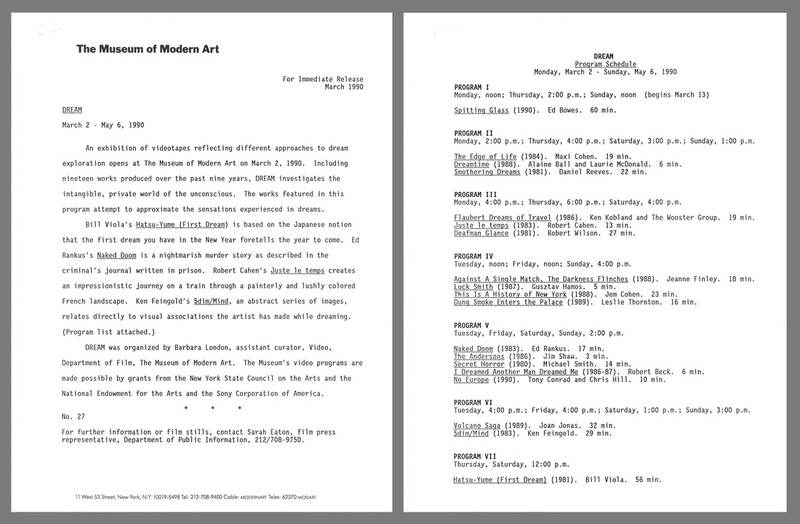 Exhibited at the Museum of Modern Art (MoMA, New York City), group show "Dream", 1989. Broadcast on Houston and Dallas, Texas, Public Broadcasting (PBS). 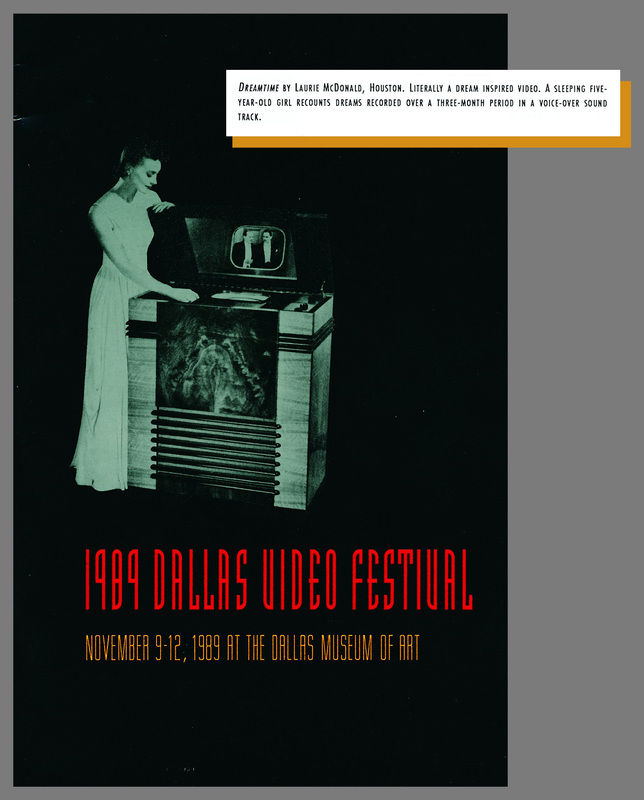 Included in the 1989 Dallas Video Festival.